Are you in the market for an electronic predator call from the best brand, that is virtually indestructible, inexpensive, and powerful? Then look no further than the FOXPRO Deadbone. Although price might not always be the primary factor in choosing the best electronic coyote call, it's best to get a fantastic deal. As far as entry level calls go, you can't go wrong with the FOXPRO Deadbone. 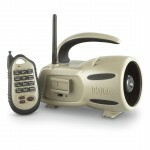 The FOXPRO Deadbone is priced just under $150, which is on the higher end of entry level electronic coyote calls. At such a low price, though, it's amazing the great features that this unit boasts. If you need an electronic call that works well in all situations - predator calling, prey calling, bad weather - why pay $300 when you can get it all at under $150? Most electronic calls of the same brand/series share similar base functions. The FOXPRO Deadbone is the lil' brother of the FOXPRO Inferno and FOXPRO Hellfire, both of which have some advanced, premium features. For example, both units have remotes with full-color LCD screens, and boast 50 calls and 200+ calls, respectively. They're also both a bit louder than the Deadbone, but because the Deadbone has an external speaker jack, you can always hook up another speaker if you find you need more juice. 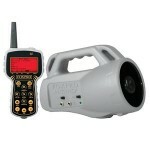 Why Buy the FOXPRO Deadbone? The FOXPRO Deadbone is FoxPro's entry level electronic call, and it comes with a pre-programmed remote with 15 different sounds, perfect for luring in predators. This isn't the BEST caller on the market, but it has all of the high quality that I come to expect with the FOXPRO brand, at a VERY friendly price. 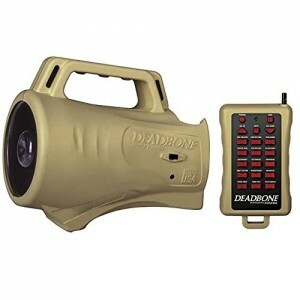 With its high-powered horn speaker, the Deadbone can deliver enough sound for almost any hunt. We have tested the Deadbone's audio fidelity at maximum volume. The calls are absolutely crystal clear at max. The ability to play two sounds simultaneously is a big benefit, too. The remote provides 20 steps of adjustable volume, and requires on a 9v battery. The caller itself requires 4 AA batteries. ABS is FOXPRO's thick plastic composite material. I can say from experience that it's so high quality it feels military-grade. ABS is an injection-moulded plastic housing that is waterproof and highly effective at protecting your calling equipment. It's also very lightweight. This means you can take your FOXPRO Deadbone along with you across even the most rugged terrain. Also, all FOXPRO products are made in the USA. 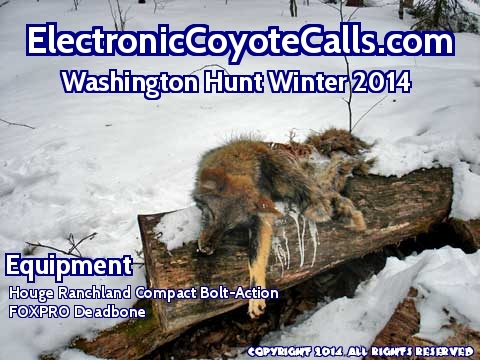 We at ElectronicCoyoteCalls.com tested this unit in 2014, in Washington state in 6 inches of snow. Snow is a unique challenge for electronic callers, because snow is notorious for muffling electronic sounds. However, we found that the Deadbone performed far in excess of our expectations. 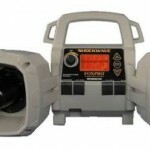 The FOXPRO Deadbone is a virtually indestructible and feature-rich higher-end entry level unit. At a sub-$150 price, this unit is a definite steal. With its 15 different calls and high-efficiency horn speaker, this electronic coyote call will completely satisfy the needs of most hunters. There are some features that are missing, such as the ability to change or program your own calls. However, this is not included in any sub-$200 electronic call, so don't sweat that too much. 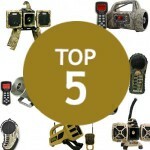 For more features, including a larger call library and programmability, check out the FOXPRO Inferno, FOXPRO Shockwave, or FOXPRO Hellfire. It was a pleasure to write this FOXPRO Deadbone review - it's such an excellent all-around unit.